Our 2016 F&W Wine Guide highlights 500 of the world's best producers. Here's a sample to introduce you to some of our favorites—the superstars and their more under-the-radar counterparts. A former abbey, this impressive Chianti Classico estate is now devoted to the secular pursuits of wine and food. Its Sangiovese-based reds stick to a classic style, with firm acidity and bright, fragrant cherry tones. Recently this producer has made major purchases in Gevrey-Chambertin and Chablis and now controls a portfolio of some 350 acres—good news for wine lovers, as recent vintages have been among the best in years. One of the few Napa Valley heritage properties to operate continuously since the 19th century, Larkmead today is a top-notch producer of Bordeaux-style reds. Ben Glaetzer took over winemaking here in 2004 and has since become a star, most famously for the full-throttle Amon-Ra Shiraz he bottles from very low-yielding, ancient vines (up to 130 years old). The visionary Álvaro Palacios, famed for his Priorat wines, has been back at the head of his family's Rioja Baja property since 2000. He champions wines made from the Ganarcha grape. 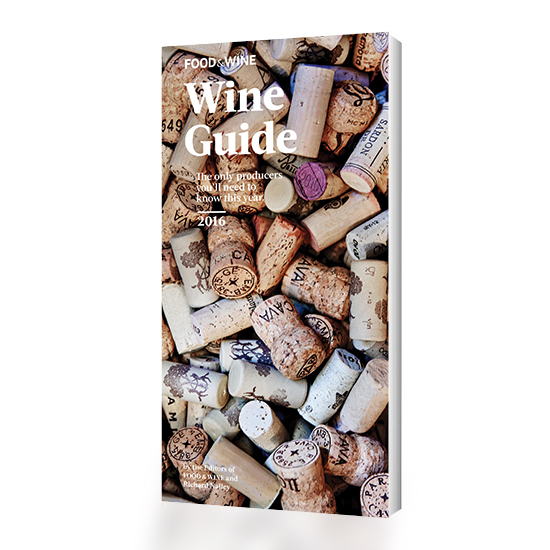 The 2016 F&W Wine Guide is available on October 20 at amazon.com.